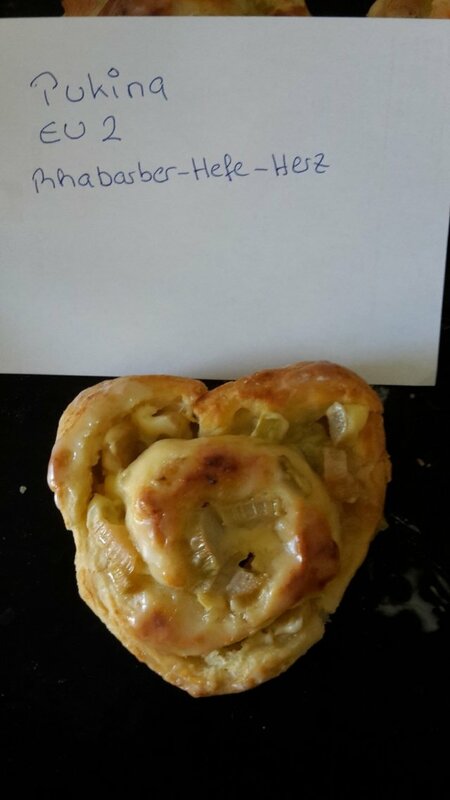 Spring Fling Contest #1: A Heart-Shaped Bake off! There’s nothing sweeter than real sweets! For this contest, we’re asking you all to head to your kitchens in real life, and get baking! To enter your submission, please take a photograph of your entry. In the photograph, please also include a handwritten note with your in-game name and server, next to your baked creation. You may post entries here on this forum thread, or on Discord. (You don’t need to submit in both places.) When posting, please also let us know what it is that you baked! The V&H Event Committee will act as judges, and will be awarding First, Second, and Third place winners. Winners will be announced on Monday, April 15th! Have fun, and good luck! This contest is now open!! Posted ours (myself and Reas On) in Discord. Thanks!! Just in case you can't figure it out, that's a human heart. It's very heart shaped. Love it, Katniss! You are a mind-reader. I was very much thinking of human heart shapes rather than valentine's heart shapes. Does this make us abby-normal? Could be since that was the first thing I thought. Could have been the insistence in the instruction that it be heart shaped that triggered it. Chocolate cake covered in white fondant and decorated with a sugar flower and berries. I made the sugar flowers myself, I work as a cake decorator. The cake is 4 in in height and also 4 in in length. Whisk together flour, cinnamon, baking soda, baking powder and salt, set aside. Mix in one egg, then blend in second egg and vanilla. Add flour mixture and mix just until combined. Mix in oats, raisins and walnuts. If dough is too sticky too shape into balls you can chill for 30 minutes or just use two spoons to drop mounds onto baking sheets. Scoop dough out and shape into 1 1/2-inch balls (or 40 grams each), transfer to prepared baking sheet fitting 12 per sheet and spacing 2-inches apart. Bake in preheated oven until golden brown on edges and nearly set (center should look under-baked), about 12 – 14 minutes. Let cool on baking sheet for a few minutes then transfer to a wire rack to cool completely. Repeat with remaining dough. Try adding a slice of bread to container with baked cookies to keep them soft and moist, just don't lay it directly on cookies or it can make those it's resting on soggy. Vanilla Cupcakes with chocolate chips and vanilla icing in the shape of a heart. And sprinkles on top, can't forget the sprinkles. Dark Chocolate Cake sprinkled with crushed oreos and crushed wafers. Made by me, Hyacinth Rose and my sister Missa Solemnis. US server 1. Home made heart village and heroes special pizza, topped with ham, onoin, mushrooms, Danish Feta, cherry tomatoes, spinach leaves and mozzarella cheese. So glad I'm not the judge. That said, I have a complaint. All these entries looks so good and yummy. They are making me hungry and I can't eat any of it!